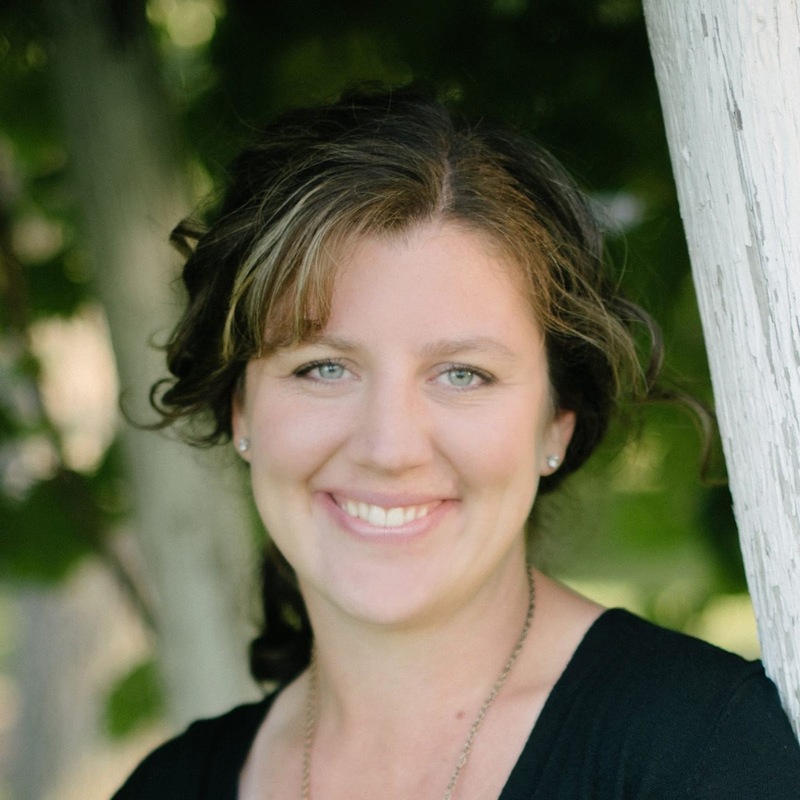 Erica here: I am so pleased to host my friend Gabrielle Meyer on Seekerville today! I’ve often felt the definition of a successful artist (whatever art form that may be) is one who can inspire creativity in another person. When it comes to writing, inspiration is often (if not always) the starting point for every good story. Thankfully, we don’t have to look far to find inspiration. It’s all around us. Sometimes, it takes us by surprise and we have to quickly jot down an idea. Other times, especially if it’s been a dry season emotionally, mentally, or spiritually, we need to be purposeful about looking for inspiration. When we find it, it can go a long way in giving us the energy and drive to complete a project. Below is a list of eight places (in no particular order) to find inspiration for our writing. Have you ever seen a painting or photograph that captures your attention and makes your imagination sing? Every single time I see a Thomas Kinkade painting, my mind immediately starts to create a story to go along with his beautiful image. Because I can’t crawl into his paintings and live in his idyllic world, I long to create an imaginary character who can. What kind of paintings/photographs inspire you? Seek them out and let your imagination soar. I know a lot of authors who have a playlist of songs that they listen to as they write. The music might be exciting, dark, upbeat, quiet, or loud. It all depends on the mood they want to create in their storyworld. If you’re stuck, and you need to add some depth to your story, try to listen to music. You might be surprised that your mood affects the mood of your story. Do you want to write a compelling story? Then read as many compelling stories as you can. Watch great movies, study interesting television characters, dissect a riveting plot. Immerse yourself in great storytelling (whether you read it or watch it) and you’ll be inspired to write an amazing tale. I love reading stories by authors I admire. They inspire me to dig deeper and write stronger. When I asked my Facebook friends what inspires their creativity, almost everyone said nature was their main inspiration. Who isn’t inspired by a snow-capped mountain, a powerful thunderstorm (as I write this, one is rumbling its way toward us! ), or the lapping of the waves upon the sand? I live on the banks of the Mississippi River in central Minnesota, and I don’t have to look any farther than my backyard for inspiration. Don’t be afraid to get out in nature and find inspiration in the beauty of God’ creation. For me, there is no greater inspiration than a unique bit of history. Almost every story I’ve written has been inspired by real people, places, and events. It’s true when they say that history is often better than fiction. But history isn’t limited to historical novels. Many people write contemporary stories inspired by historical people and events. If you’re looking for inspiration, read old newspapers, visit historic sites and museums, or just listen to an elderly neighbor who has a treasure trove of stories to tell. Just like the quote I shared above, which inspired this blog post, quotes and sayings can inspire all our writing. If you need some inspiration, look up quotes about the theme of your story. It might be helpful to you, your heroine, or even your reader. Have you ever met someone and thought: “That person would make a great character in a story!” Or, have you ever created a character and suddenly realize it’s inspired by a person you know, even when you didn’t consciously model your character after that person? In my story, The Gift of Twins, I modeled the twin boys from my own set of twin boys. I just asked myself: “How would my boys react if put in this situation?” and went from there. Relationships, whether positive or negative, can be great fodder for our writing. Of course, be careful not to offend; instead, use those relationships as a starting point to enrich your story. Last, but certainly not least, is our faith. I think many of us would agree that our faith, especially as inspirational writers, plays a big part in what we write, how we write, and why we write. I’ve always believed writing is an act of worship. I feel closest to God when I’m telling a story. Use the experiences you’ve gained on your faith journey to enhance your story. You might be surprised when a reader emails and says that you wrote something they needed to hear. Suddenly, the trials you’ve endured have a more meaningful purpose. These are just some of the ways I get inspiration for writing. I’d love to hear yours, whether it’s in this list or not. Gabrielle Meyer lives in central Minnesota on the banks of the Mississippi River with her husband and four children. As an employee of the Minnesota Historical Society, she fell in love with the rich history of her state and enjoys writing historical fiction inspired by real people, places, and events. You can find Gabrielle on her website, www.gabriellemeyer.com or on Facebook at www.Facebook.com/AuthorGabrielleMeyer. Her tenth story, Love’s Undoing, just released in The Backcountry Brides Novella Collection with Barbour. You can find out more AND purchase the book by clicking HERE. Gabrielle is giving away a copy of The Backcountry Brides to one commentor. US residents only. Just leave Gabrielle a comment telling her what inspires you! Welcome Gabrielle. I have a secondary character that is based on one of the boys at church, That is such a character that challenges all teachers. He has his on unique thought process and has made many a class I've taught interesting. He makes such an awesome child in the story and adds so much to the main character. Of course I changed his name. He is so fun to write. Not all I've written is something he has actually done but it is what I can just picture this boy doing. I love him with all my heart. I am still surviving all the rain and flooding. Thankfully my home is not in a low lying area near a river or stream. The news said as of Wednesday our county had received over 21 inches of rain in the last 14 days and we've had another 2 inches since Wednesday. Wonder if some of this will end up in a story at some point. Who knows. I think the rain is supposed to continue for at least another 5 days. Good grief, Wilani! I had no idea your part of the country was getting so much rain! Definitely story fodder! Wilani, I'm sorry you're in the path of the storm but glad you're okay. Take good notes. Catherine Marshall wrote a novel about the Johnstown Flood. SO you have precedent. Hey, Wilani! I love that you've found a little scamp from church to fictionalize! Bummer about all that rain. I'm in Florida visiting the folks, and they are up to their eyeballs in rain, too! More than 20 inches this last month! Yikes! Thanks for stopping in today, Wilani. I love using real people as templates for my characters. The little boy in your story sounds a lot like my son, Asher. Do we go to the same church? :) It’s amazing that you guys are getting so much rain. I hope you stay safe and dry. Welcome to Seekerville, Gabrielle! Working at the historical society alongside the Mississippi sounds like a dream come true! I love history, and I love those big midwestern rivers--Mississippi, Ohio, and Missouri. Great suggestions for things that can inspire our writing! I can especially relate to the nature one...sometimes it's the simplest of things that can clear your mind and make room for fresh ideas...a nice long walk, working in the garden, taking a drive in the country. Thank you for the reminders! Hey, Glynna! Gabrielle's place is beautiful, and the river so peaceful. I could spend hours just watching it flow by. Thanks for the warm welcome, Glynna. I’ve always wanted to be a guest on Seekerville. I was thrilled when Erica asked! I also love the Midwest rivers. I grew up on the banks of the Mississippi, and I feel very blessed to live there now. It never fails to inspire my writing. Gabrielle, this is helpful to me. I've been in a dry place recently, a combination of exhaustion, exhaustion and exhaustion (have I made my point)? I can edit and tweak my work, but as far as creating something new, it's been hard. Am coming out of it...Since my day job ALSO involves sitting at a computer and putting words together, it's helpful for me to get away. I live in NH and we have seacoast, lakes and mountains, so nature is an option. But we're also an hour from Boston, and when all else fails, the city stimulates me. I don't know why, it's crowded and dirty, but woven through it is an amazing energy, and of course there's All That Culture. I resonate with cities, especially Boston. Give me a call if I'm still alive. I’m sorry to hear you’re exhausted, Kathy. I’ve had seasons like that myself. It sounds like you have some good options for inspiration. I have a trip planned to Boston this fall with my family. Like Erica, there are many things in that area on my bucket list. I homeschool my children, so I’m especially excited to teach them about the early American history that took place in Massachusetts. Also love Minnesota. Used to live in northwest Wisconsin and found the town I was in was similar to Lake Wobegon. AND...my favorite children's books growing up were the Betsy, Tacy and Tib stories by Maud Hart Lovelace, which took place first in a small Minnesota town and then in Minneapolis. Probably before your time, but I bet someone else remembers. Ah, Kathy, you have hit Gabrielle's love language! She ADORES the Betsy-Tacy books! You'll have to talk to her about when she took her girls to MHL's hometown of Mankato. Ahh!! I am a writer today because of the Betsy-Tacy Series! They shaped me as a young lady, a writer, and a Minnesotan. I squealed a little when I read your comment. Betsy-Tacy fans are few and far between. I adore all of Maud Hart Lovelace’s books! I have read the series to my daughters and we have visited Mankato. I could talk about Deep Valley for hours. :) Thanks for making me smile. The Betsy-Tacy series is one of my favorites, too! My collection is a treasured part of my children's book collection. Someday, I hope to share them with grandchildren :-). I can also relate to your noting of historical events as story fodder. I do Oregon Trail, and I believe every person that stepped off from Independence, Mo. had a story. I just finished two novels, consecutively, about Britain in WWII. We will never know what those brave people went through. Except we will, because people write about it. And my TBR pile has TWO novels about the Land Rush, another classic story incubator. You take your historical event, add a pinch of "What if" and a dash of "If only," create a couple of main characters (or wait for them to show up), and you've got a story. Guess what I'm putting off in order to make so many comments? No, don't. Please. It gives us something to write about, preferably with some spiritual content, and it keeps their memory alive. I agree completely with both you and Erica. Almost all my stories start with a real historical event, a lot of what-ifs, and fun characters who have to live through the trouble I create. I mean I just finished READING two novels about WWII. Sheesh. Gabrielle, this is a great post. I am certainly inspired by nature as the book I have written is set in Nebraska (where I live) about a tornado. I also find that the words to a lot of songs give me ideas for stories. Please put me in the drawing for the book. Oh, weather is one of my biggest inspirations, Sandy. I’m sure your story set in Nebraska is full of all sorts of great weather-related things. Like Erica, I also love to listen to music set in the era I write about. It just helps to ground me in the setting. Gabrielle, welcome! We're so glad you joined us. I love these suggestions! I recently started doing artwork in a Bible journal. I'm really enjoying it! I think it does spur creativity. Hey, Missy. You are brave! I CANNOT make myself write in a book. I don't even underline in my Bible. I love seeing other people's results in their Bible journals, but I can't do it myself. I love hearing the lap and scrape of the waves on the shore, but for me, it's Lake Superior. So soothing! Missy, I love music too and it gets my creativity going. Classical or Christian is best. Missy, I love writing in my Bible, but I’m not artistically talented, so it never turns out well. :) I’m also inspired by music, especially when it makes my spirit soar. I hope the symphony you heard last night is still inspiring you today. Bible journaling is one of my creativity sparks, too! Jan, do you use paints, stickers, markers or what? This is such a great list, Garbrielle! I'm currently working the second draft of a story inspired by an incident that happened to a friend while her husband was working in the police department. I took one little random item that was rolling around in my head for years and finally came up with a plot around it and wrote it! And I'm starting a first draft of another story about a little item I read in a newspaper article. So I guess I'm learning that I get inspired by everyday things. Thanks for being here! Glynis, isn't it amazing how authors can take a tiny bit of information and it sparks an entire story? I love that you were able to do that! I love when a little idea rolls around for a while and picks up other little ideas, until a story is born. One tiny spark can set a whole forest on fire. Thanks for the reminder, Glynis! Thank you for this list, Gabrielle. Too often I find myself staring at the blank screen in front of me with no idea what word comes next. These are all great ways to get inspired. Thanks for being with us in Seekerville today. Forgot to say that what inspires me most is reading great books by authors I love. When I grow up I want to write like Erica. She has the greatest similes. Aw, Cindy, thanks for saying that. You warmed my heart! I get inspiration from reading, too. That makes two of us, Cindy!! I want to be like Erica when I grow up, too. :) Thanks for welcoming me to Seekerville! :) I KNEW your comment about loving MHL would be right up Gabrielle's street! You two are kindred spirits! Oh, I am having such a Great Seekerville Day, but need to go off and do the dreaded errands. Will stop by the WE. Gabe, how did you know I needed to be inspired today? Welcome to Seekerville, by the way. You've offered us (read ME) a great list of places to look for inspiration. Those things that will spark our imagination. So glad you shared this with us today. Thank you for the welcome, Mindy! I was just driving home from doing some errands and saw a beautiful creek. Immediately, I wanted to write a story with that creek in it! :) Inspiration can grab you at the strangest times. I’m happy my post was timely for you. I thought for quite awhile about what I should write about, and this topic came to me. Another Betsy-Tracy fan!!! So happy you’re here. I'm so excited to come to the writer's retreat in your home town in a few weeks!!! I'm hoping to be inspired and get a LOT of words written on my WIP! I know what you mean about being inspired by music. I have a CD of piano music that hits the sweet spot in my emotions. I always play it when I'm writing, and I keep the volume so low that I don't even notice it...but it's there, and it affects the mood of my story. And I'm also inspired by people I meet. There are four little girls at our church that I blended together to create a secondary character in my February release from Love Inspired. It was so much fun to write the scenes with her in them! So glad you stopped by Seekerville today! Hi Jan! I’m so excited that you're coming to Little Falls soon. I love sharing my hometown with others—especially the Linden Hill mansions. You’ll love it. :) And I'm so excited to find another Betsy-Tacy fan!! That is my favorite series, by far. Thanks for having me on Seekerville. EEE! Jan! I am so excited you're coming too! I didn't know you were! We're going to have so much fun! Great post, Gabrielle! Enjoyed reading your list. Real life can sometimes be an inspiration as well. I agree, Sally! Sometimes real life is better than fiction. I think it would be insightful to compare and contrast 'inspiration' with 'motivation'. Their meanings can be very different. When someone says they need to get back to work on their WIP but they are waiting for the spirit to move them, they are most likely in need of motivation. Sometimes a good kick in the backside makes the best backstory. Besides when inspiration is mostly motivation this may not even be a good thing: as when you are inspired by a great orator to join in a lynch mob. Very few 'inspirational' romances are really inspirational in the sense that the movies, "Rocky" and "Chariots of Fire" are inspirational. I wish more inspirational books were as inspiring. Maybe trying to make a "Rocky-like" LI romance could generate its own inspired motivation. Aim high! For best results decide what you are really seeking: motivation or inspiration. I agree, motivation and inspiration can be two very different things, Vince. Thanks for showing us the differences. And a Rocky-type LI story would be interesting, to say the least! That is awesome, Debby! I can hear the thunder crashing as the hero/heroine's heartbeat thumps as a noise is heard but they're not sure as the thunder muffles whatever sound it might have been. And then the lights go out. Yes, that does sound like a great backdrop for a suspense, Debby! Thanks for welcoming me to Seekerville. Hey Gabe! Nature is awe-inspiring! His creation is amazing! Hi Caryl!! Nature has such a unique influence on us, doesn’t it? From dust to dust. Great post, Gabrielle. I rely heavily on 2, 5 and 8. 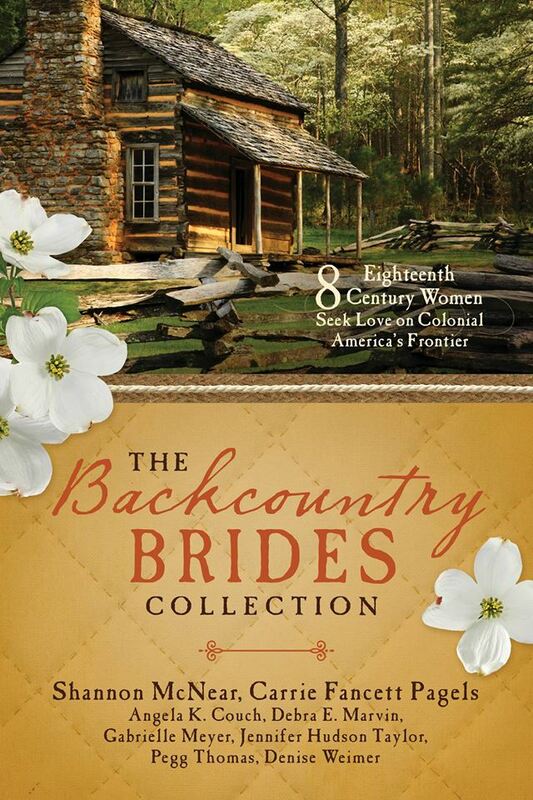 Thanks for sharing your list, and congratulations on the release of The Backcountry Brides! Thank you, Laura! History is one of my biggest inspirations, for sure, and definitely my faith. I love blending the two together and write fiction. What a great post. For me nature and just time alone help me. Thanks for stopping by, Becky. It sounds like you know how to find inspiration. I’m not a writer but loved reading about what inspires you. For me...music, art, and the beauty in His creation are inspiring. Thank you for stopping by. No matter what our creative outlet, I believe we all crave inspiration and you’ve listed some great ones. I saw the title of this post and couldn't click fast enough! I'm always looking for inspiration. I find it everywhere! I especially love to settle in with a cup of tea and a good friend for a chat, and often a random remark will trigger an idea for me. I scribble those down and put them in a folder labeled "Story Seeds." When I'm brainstorming a story, I go through that folder and get inspired all over again! Loved the post!! Great advice, Laurel! I love your story seed folder idea. I’m happy you enjoyed the post. God gives me inspiration, that's for sure, and in unusual ways. I love going to church and walking away stirred up, ready to write even more. Your first item was about photography. It's a beautiful thing how while writing a book, your discover things about yourself that surprise you. It did that for me in awesome ways. One of the ways was discovering my good eye for photography. This may be a little bit off the topic, but I wanted to share it. I took the pictures of the front covers of my first three books. What's funny about one of them, Wise Turned Foolish, I was just about to publish the book. However, it was delayed due to not finding a cover for it. There was a certain thing I had had in mind but had no way of getting it. Desperate for something, I scrolled through the gallery. Most of the way down, I found a picture that would be so ideal. A friend photoshopped it a little bit, and I got permission from the guy on the cover to use it. Since then, his whole family has gotten their own copies of the book, and there have been a few people whom I have interacted with who tell me they had seen that cover on Facebook and thought it was so compelling. Conversations--that's a big thing that inspires me. I make sure to listen closer than ever in conversations. It's to where I would love to make a t-shirt that says: "WARNING: Our conversation may end up in my book." In fact, my current novel in progress, a contemporary romance novel called Twofold Love Comeback, was inspired by a conversation that had nothing to do with romance. Movies--I especially love those from the 80s. All I can say is, John Bender (Judd Nelson in the Breakfast Club) inspires me in so many ways. Moreover, the whole cast does. Twofold Love Comeback is like a Pretty In Pink in mid-life. Music--hard rock music for the most part for me. I won't give all of the details, but for those who know Brian "Head" Welch, he is now a Christian and has been for a little over a decade. He is the one whose testimony inspired me to write Wise Turned Foolish. About a week ago, I talked to someone who was able to point me in the right direction to send Brian a copy of the book. I did it, confident that he would receive it. People/relationships--Just about every character in my books is a portrayal of someone I personally know. My most recent published book, Professional Fans, and Twofold Love Comeback, have supporting characters who are portrayals of one person I know. The same goes for one in Wise Turned Foolish and Writing Soulmates, another romance novel in progress. At this point, I have made this comment as long as your post. Lots to write about, that's for sure.